(CN) – The United Kingdom’s vote to withdrawal from the European Union caused a spike in antidepressant prescriptions, a new study finds. Britons narrowly voted to withdraw from the EU in a June 2016 referendum. While the economic implications of the pending withdrawal are still up in the air – a final exit deal has not yet been agreed to with a March 2019 deadline looming – many analysts have looked at demographic trends for the referendum to help explain how the vote happened. For instance, The Atlantic published data suggesting a correlation between education levels and Brexit voters. In areas with large numbers of college-educated people like central London, more people voted to remain in the EU. In the midst of the economic and political uncertainty that resulted from the vote, researchers have also looked at how the results have affected the national mood. 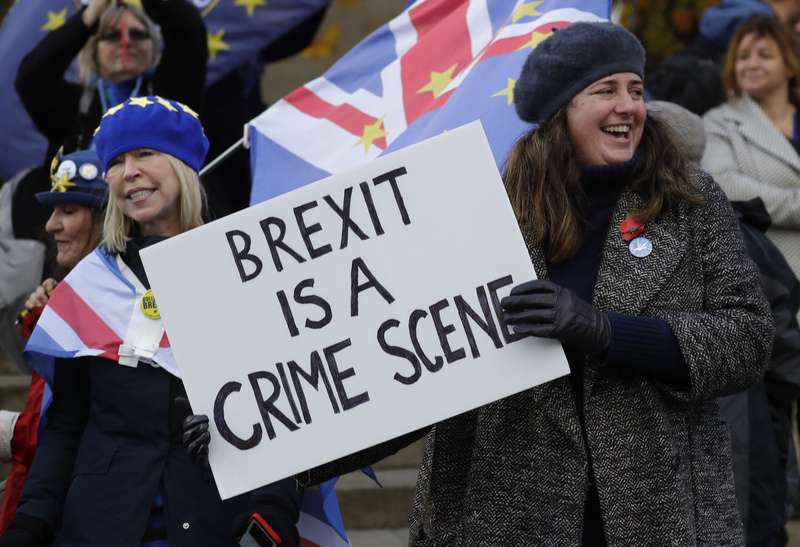 A new study published Tuesday in the British Medical Journal examines the possible relationship between the Brexit vote and the rates of antidepressant prescriptions. Researchers looked at patterns of prescriptions in the U.K’s 326 voting areas. Using prescription data from general practitioners across the island, the team compared antidepressant prescriptions to drugs for other conditions like gout and anemia. The month after the Brexit vote, the team found the “defined daily dose” of antidepressant prescriptions rose, while the doses of the other drugs fell. Relative to the other drugs, the sheer volume of antidepressants increased by 13.4 percent, the team found. The researchers noted the study’s limitations, including the fact that it does not establish cause. In other words, while the results might show a relationship in data it can be definitively said Brexit caused a rise in antidepressant prescriptions. They stress that in times of national uncertainty, government policies for mental health treatment should be intensified. “Our study suggests that major political and economic shocks may have unanticipated consequences on population health, even before they directly affect employment, business or migration patterns,” the team wrote in its conclusion. Mental health professionals in the United States have coined an unofficial term to describe the anxiety caused by President Donald Trump’s election in 2016: post-election stress disorder. A January 2017 survey conducted by the American Psychological Association found 40 percent of respondents said the election outcome was either a “very” or “somewhat” significant source of stress.